Miriam Keller was born in 1909. She was also known as Miriam Collins. Virginia Mildred Kellert was born on 24 September 1900 at Jefferson, Pennsylvania, USA. She married Alexander Paige Reid, son of David Reid and Ruth Simpson, on 7 February 1929 at New York, USA. Her married name was Reid. Virginia Mildred Kellert died on 13 April 1969 at Pennsylvania, USA, at age 68; Seems to be two or three separate clippings, as on says funeral arrangements are incomplete, another says friends may call, and the other has the services in the past tense.1 She was buried on 16 April 1969 at Punxsutawney, Jefferson, Pennsylvania, USA. David Webster Kelley was born between 1891 and 1916. Margaret L. Kelley was born in 1859 at Monroe, Ohio, USA. She married David A. Denbow, son of James Denbow and Rebecca Rogers, in 1873. Margaret L. Kelley married Steve Dooley in 1897 at Ohio, USA. Her married name was Denbow. Her married name was Dooley. Margaret L. Kelley died in 1921 at Stafford, Monroe, Ohio, USA. Mary Jane Kelley was born on 31 July 1856 at Monroe, Ohio, USA. 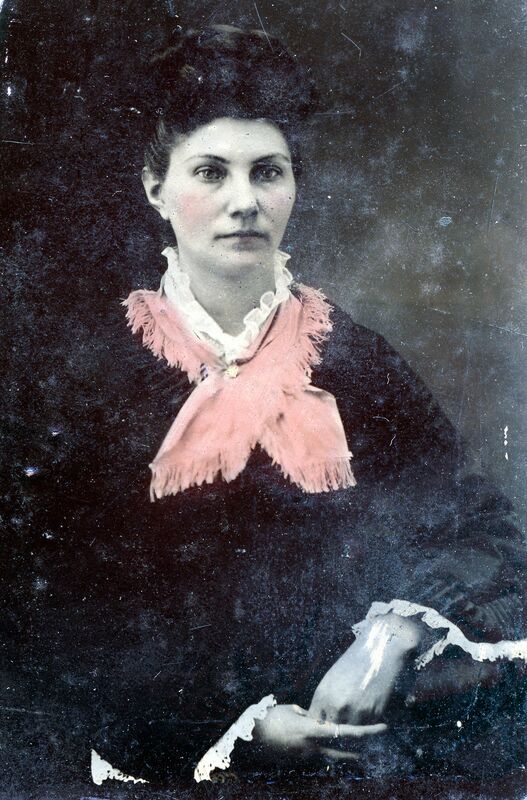 She married John Miracle in 1876 at Monroe, Ohio, USA. Her married name was Miracle. Rachael Adeline Kelley was born on 22 November 1872 at Monroe, Ohio, USA.1 She married Vincent Thompson, son of Andrew Thompson and Catherine Keffer, on 19 November 1896 at New Philadelphia, Tuscarawas, Ohio, USA. Her married name was Thompson. Rachael Adeline Kelley died on 14 February 1937 at Stone Creek, Tuscarawas, Ohio, USA, at age 64.1 She was buried on 17 February 1937 at Stone Creek, Tuscarawas, Ohio, USA. Robert K. Kelley was born between 1891 and 1916. Sarah Elizabeth Kelley was born on 7 September 1862 at Lewisville, Monroe, Ohio, USA. She was Housewife. She married John Hamilton Billman, son of Charles Frederick Billmann and Hannah Jane Hamilton, on 31 December 1884 at Monroe, Ohio, USA. Her married name was Billman. Sarah Elizabeth Kelley died on 6 November 1926 at Lewisville, Monroe, Ohio, USA, at age 64. She was buried at Lewisville, Monroe, Ohio, USA. [S2] Robert Barton, "Rob Barton's Research." John Kerstetter was born in 1798. He died in 1880. Edward Keylor died in 1226 at Monroe, Ohio, USA. He was born in 1865. He married Rebecca Fisher, daughter of Joseph Fisher and Elizabeth Denbow, in 1882 at Monroe, Ohio, USA. Franklin Pierce Keylor was born on 18 February 1854. He married Mary E. Denbow, daughter of John Denbow Jr. and Sarah Paith, in 1877. Franklin Pierce Keylor died on 6 August 1932 at age 78. Frederick Clarence Keylor was born on 27 May 1886 at Lewisville, Monroe, Ohio, USA. He was (an unknown value) at Monroe, Ohio, USA. He married Clara Effa Drum in 1905. Frederick Clarence Keylor was also known as Sour @C1478@ Keylor. He died on 6 March 1963 at Marietta, Washington, Ohio, USA, at age 76. Sarah Kieffer was born at Ohio, USA. She married John Sherer on 31 March 1831 at Crawford, Ohio, USA. Sarah Kieffer Notes in the Sharp Family Bible kept by Maude Elsie Sherer Sharpstate that Grandma Sarah Kiefer Sherer died in 1881. Her married name was Sherer. She died in 1881. Helen Kilpatrick married Andrew Reid, son of David Reid and Barbara Dunsyre, on 9 December 1836 at Wemyss, Fife, Scotland. Her married name was Reid. Margaret Kimbel was born in 1805 at New Jersey, USA. She was also known as Margaret Acord. Married: Middletown, Butler Co., O.
Jno. P. Martin to Margaret Jane Kinneer. [S262] 1880 U.S. Census, 700 Pennsylvania Ave., NW, Washington, District of Columbia, USA, Enumeration District: 062. [S61] The Greenville Democrat, 28 Aug 1889, 1889, Vol. VIII *8 (VIII~37). [S53] Greenville Cemetery Records, Indexed.